This is one of my photos taken at a flower shop. 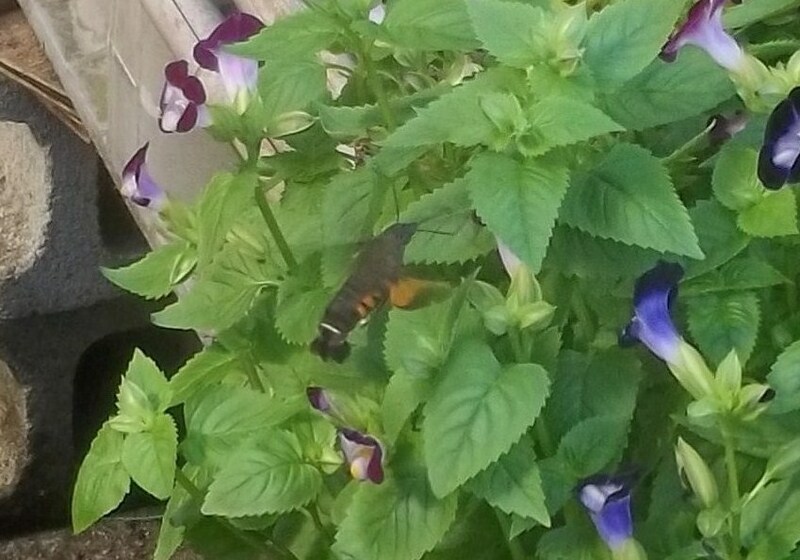 I was told that because you can see antennae on this creature… you know it is a Hummingbird Moth, not an actual Hummingbird. Birds don’t have antennae. Plus this creature has the long tongue that goes into the flowers. Hummingbirds have beaks. This entry was posted in Flowers and Trees, Thoughts of the Day and tagged Hummingbird Moth, photos. Bookmark the permalink.